Dr Sue Barrell FTSE is passionate about the application of science to delivering highly valued outcomes for Australians and is a committed advocate for empowering girls and women to take up science careers. 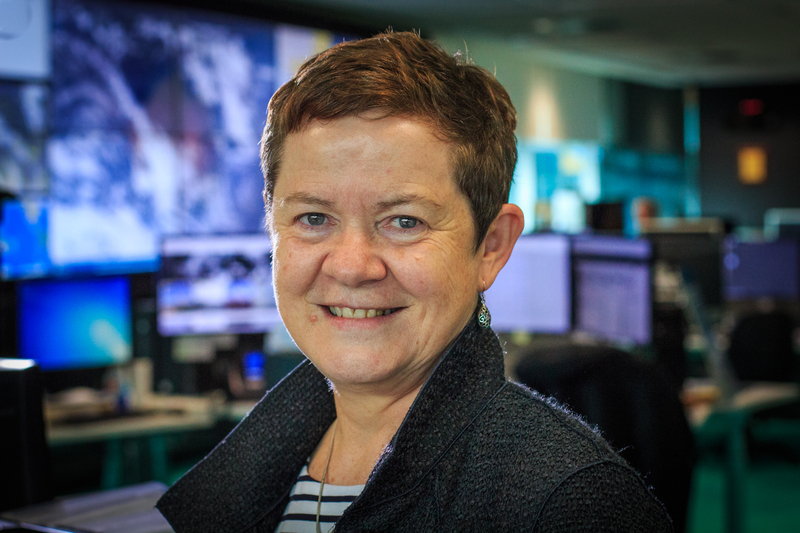 Following a long career at the Bureau of Meteorology, Australia's national weather, climate and water agency, Sue retired in August 2018 from her final role as Chief Scientist. Her experience spanned roles across many of the Bureau’s operations, from forecasting to research to science policy and climate change to Senior Executive. Sue continues her commitment to science through multiple science leadership, strategy, board and advisory roles across a wide spectrum of science and technology. Sue brought together many of her passions in her role as the Bureau's Chief Scientist, and Group Executive, Science and Innovation. Her portfolio of responsibilities included Science to Services, Enterprise Innovation, Global and National Science Relationships, as well as Diversity, Inclusion and STEM. Sue spent an extended period with responsibility for the sustained operation of Australia's highly distributed meteorological infrastructure and capability, delivering comprehensive observations of the earth system essential to underpin the Bureau's climate and weather forecasting services. As Chief Information Officer, Sue implemented a major organisational change initiative. Her research credentials include publications in satellite meteorology, cold front dynamics and cloud band climatology. Sue has been actively involved in international efforts in relation to climate policy and the coordination and integration of earth observations, including through the Global Climate Observing System, the intergovernmental Group on Earth Observations, the UN Framework Convention on Climate Change and the Intergovernmental Panel on Climate Change. Sue was Australia's Principal Representative to the World Meteorological Organization (WMO) and a member of WMO Executive Council during 2016-17, and served as Vice President, WMO Commission for Basic Systems from 2008 to 2016. She contributes to and leads several high-level WMO initiatives and serves on several boards and advisory committees. Sue was recognised as a Fellow of the Academy of Technological Sciences and Engineering (ATSE) in 2013, and is a Graduate member of the Australian Institute of Company Directors. She has a BSc (Hons) in Physics and a PhD in Astronomy. In July 2017, Sue was recognised as a Science and Technology Australia (STA) inaugural Superstar of STEM and in 2018, was elected Vice President of STA.